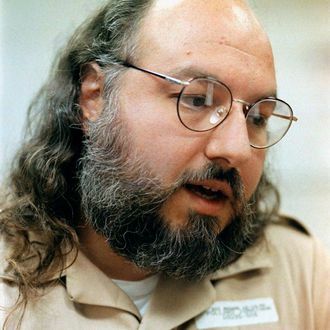 The American government plans to release Jonathan Pollard on parole this November. Pollard, a 60-year-old former Navy intelligence analyst, is currently serving a life sentence for passing (or, as many contend, selling) suitcases full of highly classified documents to Israel operatives. Pollard has spent nearly 30 years in prison; he was arrested in 1985 and jailed in 1987. According to the Wall Street Journal, the federal parole panel’s decision was unanimous. Unless President Obama grants Pollard clemency before November 21, he will have to remain in the U.S. for the next five years, per the terms of his parole. If he remains in the U.S., his lawyers have said he will likely move from his prison in North Carolina to the New York area. The November date for Pollard’s parole has been set for a long time — long before Israel and U.S. relations went chilly because of the Iran deal. If the U.S. had opposed his release because of national security reasons, however, he could have remained incarcerated. The Israeli government has long advocated for Pollard’s freedom. According to the WSJ, some American officials think that releasing him would improve the United States’ relationship with Israel.